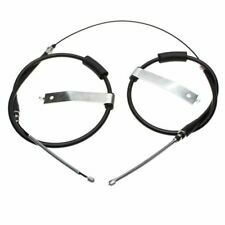 1 x FRONT HANDBRAKE CABLE1 x REAR COMPLETE HANDBRAKE CABLE FITS LDV CONVOY 2.4TD | 2.5TD 2002 - 2009 FOR TWIN WHEEL LWB NON ABS MODELS. LDV 200, 400, CONVOY, PILOT, SHERPA, VAN, PICK-UP. LDV 200 Pickup 1.7 (70bhp) FR. LDV 200 Pickup 1.9 (69bhp) FR. LDV 200 Pickup 2.0 (90bhp) FR. LDV 200 Pickup 2.0 (52bhp) FR. LDV 200 Van 1.7 (70bhp) FR. LDV Convoy 2.4D 06/02-12/06. LDV Convoy 2.4TD 06/02-12/06. LDV Convoy 2.5D 03/96-04/97. LDV Convoy 2.5D 04/97-05/02. LDV Convoy 2.5TD 03/96-03/97. 1 x FRONT HANDBRAKE CABLE1 x RH REAR HANDBRAKE CABLE 1 x LH REAR HANDBRAKE CABLE2 x CABLE CONNECTORS FITS LDV CONVOY 2.4TD | 2.5TD 2002 - 2009 FOR SINGLE REAR LONG WHEEL BASE WITHOUT ABS MODELS. LDV 200 Box 1.9 D Box Diesel 10/1994 03/1996 RWD 8 64 47. LDV 200 Box 2.0 Box Petrol 04/1989 03/1996 RWD 8 91 67. LDV 200 Pickup 1.9 D Pickup Diesel 10/1994 03/1996 RWD 8 64 47. LDV PILOT Box 1.9 D Box Diesel 04/1996 02/2002 RWD 8 71 52. All I know is that it is for the LDV Convoy. I can't advise whether it fits a specific vehicle. 1 x REAR HANDBRAKE / PARKING CABLE OE QUALITY FITS LDV CONVOY 2.4TD | 2.5TD 2002 - 2009FOR MODELS WITH ABS ONLY! PLEASE LEAVE VEHICLE REGISTRATION NUMBER AFTER PURCHASE TO AVOID ANY DELAYS IN THE DELIVERY PROCESS. LDV 400 Box 2.0 Box Petrol 04/1989 12/1996 RWD 8 91 67. LDV 400 Box 2.5 D Box Diesel 04/1989 03/1996 RWD 8 97 71. LDV 400 Box 2.5 D Box Diesel 04/1989 03/1996 RWD 8 72 53. LDV 400 Bus 2.5 D Bus Diesel 04/1989 03/1996 RWD 8 72 53. LDV CONVOY 2.4TD | 2.5TD 2002 - 2009. However delays are occasionally inevitable due to unforeseen circumstances. FOR MODELS WITH. Must Read Before You Buy! A to Z Motor Spares (Wakefield). BC2149,FKB1358, VJB497,VVB391. LDV SHERPA (6/82-89) Single rear wheels. LDV 400 (89-96) Single rear wheels. LDV CONVOY(96-01) Single rear wheels. LEYLAND BAU4558. LEYLAND-INNOCENTI BAU4558. LDV 400 Box 2.5 D Box Diesel 11/1986 03/1989 RWD 8 69 51. LDV 400 Box 2.5 D Box Diesel 04/1989 03/1996 RWD 8 97 71. LDV 400 Box 2.5 D Box Diesel 04/1989 03/1996 RWD 8 72 53. All I know is that it is for the LDV 200 Series. I can't advise whether it fits a specific vehicle. LDV 545990033. LDV MAXUS Bus 2.5 D Bus Diesel 02/2005 12/2009 FWD 16 120 88. LDV MAXUS Bus 2.5 D Bus Diesel 02/2006 12/2009 FWD 16 135 99. 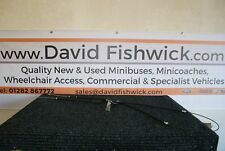 LDV MAXUS Platform/Chassis 2.5 D Platform/Chassis Diesel 10/2005 12/2009 FWD 16 120 88. LDV 400 Box 2.5 D Box Diesel 11/1986 03/1989 RWD 8 69 51. LDV 400 Box 2.5 D Box Diesel 04/1989 03/1996 RWD 8 97 71. LDV 400 Box 2.5 D Box Diesel 04/1989 03/1996 RWD 8 72 53. LDV 400 Bus 2.5 D Bus Diesel 04/1989 03/1996 RWD 8 72 53. Car Parts - QH. Total Quality is assured via ISO14001.1996 and ISO9001.2000 certification on all brake discs. Shake & Shine. The above policies do not affect your statutory rights. Product images are for illustrative purposes only. LDV 0759534. LDV 400 Box 2.5 D Box Diesel 11/1986 03/1989 RWD 8 69 51. LDV 400 Box 2.5 D Box Diesel 04/1989 03/1996 RWD 8 97 71. LDV 400 Box 2.5 D Box Diesel 04/1989 03/1996 RWD 8 72 53. LDV 400 Bus 2.5 D Bus Diesel 04/1989 03/1996 RWD 8 72 53. 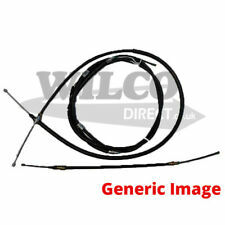 LDV SHERPA FR 3.5 Brake Cable Centre 83 to 88 Hand Brake QH. LDV 200 Box 1.9 D Box Diesel 10/1994 03/1996 RWD 8 64 47. LDV 200 Box 2.0 Box Petrol 04/1989 03/1996 RWD 8 91 67. LDV 200 Pickup 1.9 D Pickup Diesel 10/1994 03/1996 RWD 8 64 47. LDV 0759533. LDV 400 Box 2.5 D Box Diesel 11/1986 03/1989 RWD 8 69 51. LDV 400 Box 2.5 D Box Diesel 04/1989 03/1996 RWD 8 97 71. LDV 400 Box 2.5 D Box Diesel 04/1989 03/1996 RWD 8 72 53. LDV 400 Bus 2.5 D Bus Diesel 04/1989 03/1996 RWD 8 72 53. LDV CONVOY 2.4 2.5 D TD. FOR MODELS WITHOUT ABS | TWIN WHEEL MODELS ONLY. 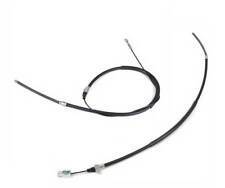 1 x REAR OE QUALITY BRAKE CABLE. A to Z Motor Spares (Wakefield). However delays are occasionally inevitable due to unforeseen circumstances. LDV CONVOY Box 2.4 D Box Diesel 03/2002 04/2009 RWD 16 90 66. LDV CONVOY Bus 2.5 D Bus Diesel 04/1996 02/2002 RWD 8 97 71. LDV CONVOY Bus 2.5 D Bus Diesel 04/1996 02/2002 RWD 8 72 53. Function Cable, parking brake. LDV AAR1246. LDV 400 Box 2.5 D Box Diesel 11/1986 03/1989 RWD 8 69 51. LDV 400 Box 2.5 D Box Diesel 04/1989 03/1996 RWD 8 97 71. LDV 400 Box 2.5 D Box Diesel 04/1989 03/1996 RWD 8 72 53. LDV 400 Bus 2.5 D Bus Diesel 04/1989 03/1996 RWD 8 72 53.